So you may have a website or blog and have included the Pin It button so people can post up your images and content. We have all heard examples of how much referral traffic Pinterest can drive and the site does have large amount of users in Australia. Pinterest will give you a notification every time someone repins one of your pins, however if someone comes to your website and uses the Pin It button, you don’t necessarily get notified or know who they are. Well if you have had enough of your content pinned, then you will have your own URL on the Pinterest site will all the pins from people around the web. You can simply replace the socialmedianews.com.au/ with your domain name and you can find most of the people who have pinned your articles or imagery. This isn’t a new trick, but not that many people seem to be aware of it so I wanted to share. From this URL you will be able to gauge your most pinnable content and network with users who are sharing your content. 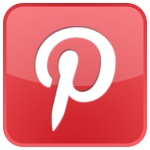 Please note that your Pinterest source URL doesn’t update in real time, but it is updated frequently.